Shuffles one or two decks at a time. 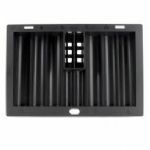 Black plastic tray with 50 sections for 20 chips each. Keep your poker chips under lock and key with this 12 row 700 chip metal locking poker table tray.This poker table dealer chip tray has a plexiglass top with locking mechanism. Large 3 inch Dealer Puck with rubber edge. 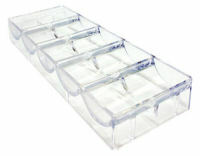 Chip tray for storage of 350 chips. 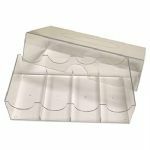 Poker supplies - Clear Perspex Chip Rack for 100 chips. Secure drop box for attachment to cash tables. 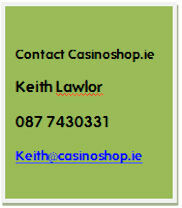 For all your poker games at home the perfect timer.